A leading historian of the region once remarked that the Pacific Northwest was far away from and behind the times of mainstream America. And it is easy to conclude from existing regional writing that Idaho is the most distant and most delayed of the states with which it is usually linked. But such a characterization conceals more than it reveals and depends largely on comparisons with New York or North Carolina, Massachusetts or Missouri. Yet even historians of the American West marginalize Idaho, paying more attention to its neighbors. The casual reader, resident, or visitor could be forgiven for thinking that not much important happened there. This simply is not true. I noticed this tendency to displace Idaho, despite good reasons not to, when I moved from teaching Northwest history at an urban college in Seattle to doing so at a rural university in Moscow, Idaho. It was easy to find history—excellent history, in fact—about Idaho. Sensitive portrayals of Idaho tribal culture, surprising insights about the social and environmental history of irrigation, and a best-selling account of industrial violence and political retribution had all been published in the few years before my move. Despite this work and much more that continues to appear year after year, Idaho’s history has remained disconnected and disjointed, much the same as the state’s sprawling landscape. By the late 1950s, Mexican Americans were publicly sharing their unique cultural heritage. 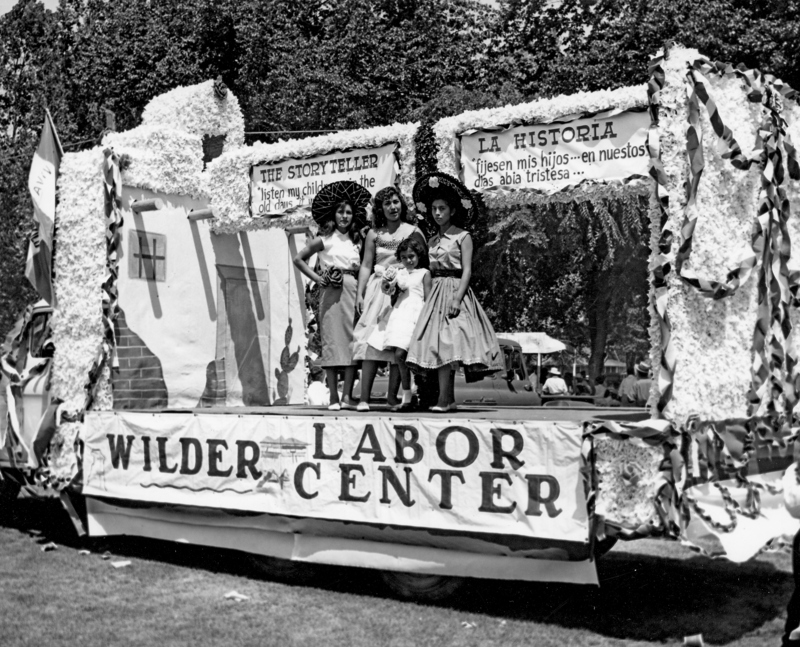 A parade float from the Wilder Labor Center celebrates Mexican American historical traditions. 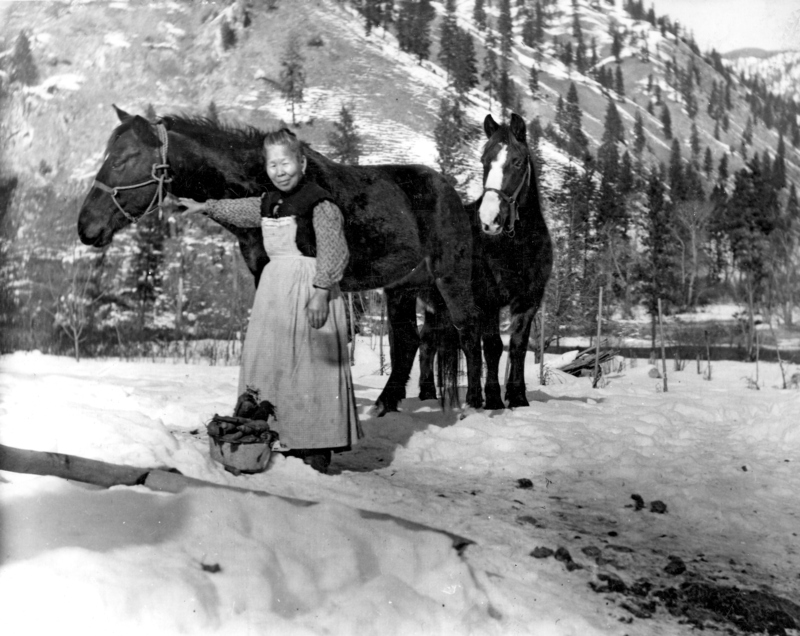 Photo courtesy of Idaho State Historical Society, 76-102.63q. Understanding Idaho’s place and putting it in context requires a guidebook. This book attempts to remedy the current scattershot understanding of the state’s past. To date, those interested in religious history might know of Idaho’s Church of Jesus Christ of Latter-day Saints or Christian Identity sects; immigration historians might know of its working-class miners or agricultural workers; cultural historians might know of its writers or artists. But those topics have tended to remain diffused. What the fine authors in this volume have done is collect and synthesize the best of Idaho history. Readers who pick up this volume—whether they are longtime residents or newcomers, onetime tourists or seasonal dwellers, policy makers or historians—will be treated to a rich past, one in which the many streams of Idaho’s history intermingle to produce this beautiful, interesting, and sometimes confounding state. What does this work reveal about Idaho? Paradox is a prime characteristic of this state; puzzles about Idaho’s past are plain in almost all the essays that follow. More self-consciously than any other available source, this book traces how Idaho’s political or cultural paradoxes evolved so that the state becomes comprehensible, not just a collection of inexplicable oddities. Political patterns, environmental divisions, racial challenges, and cultural trends all emerge from these pages in ways that make clear what at first might seem confusing or contradictory. The reason for the clarity, for the unraveling of these paradoxes, is that the authors root their analyses in historical developments. What might seem enigmatic in the twenty-first century looking backward makes sense when seen on the past’s own terms. By recognizing that historical developments in this state are neither as distant nor as inconsequential as some may think, this volume suggests that Idaho’s place is properly understood to be a product of its spaces, cultures, and times. Part and parcel of the North American West, Idaho reveals a rich past of struggle and achievement, of diversity and common interests, of continuities and changes, of creativity and imitation. The here and now of the state, after all, is the product of its past. Writing Idaho history is an ongoing and necessarily incomplete process. Nevertheless, in this volume, students and teachers, residents and visitors have a historical guidebook that can help them begin piecing together the story of this place. Within these pages, readers will find enough details to challenge their stereotypes, deepen their understanding, and answer the question, What is Idaho’s place? Adam M. Sowards is associate professor of history and director of the Program in Pacific Northwest Studies at the University of Idaho. He is also the author of The Environmental Justice: William O. Douglas and American Conservation. As a resident of the Pacific Northwest, I am happy that the University of Washington Press is committed to publishing books on the history of this unique region. The University of Washington Press Blog’s post welcomes a new edition of Idaho’s Place: A New History of the Gem State (anthology edited by Adam M. Soward) with a post on the importance of Idaho’s history. Idaho is somewhat neglected when compared to its two more famous neighbors, Washington and Oregon.